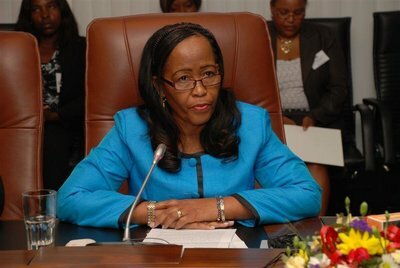 WINDHOEK, Nov. 8 (Xinhua) — Namibia’s Presidential Advisor for Private Sector Interface and Constitutional Affairs in the Office of the President, Inge Zaamwani-Kamwi, said Thursday that Namibia is at an advanced stage of finalising the Economic Partnership Agreement (EPA) implementation plan and has begun implementing the plan’s crucial aspects. During the launch of the 16th Regional Seminar on the African Caribbean and Pacific-European Union (ACP-EU) Economic and Social Interest Groups here, Zaamwani-Kamwi said a civil society platform has been set up to assist in monitoring the agreement’s implementation plan. Such a platform, according to Zaamwani-Kamwi, would assure benefits would be utilized by beneficiaries such as exporters and consumers in general. Although Namibia is committed to the EPA implementation, she said the absence of a coordination approach needs to be addressed. Fears abound, however, due to a transition from left to right wing political parties in Europe, Zaamwani-Kamwi said, adding the transition could bring about a threat to the cooperation agreement with the EU in the future. Currently, populist parties have taken strong footholds in 20 of the 28 EU member states, either as governing parties or as opposition parties, and Zaamwani-Kamwi expressed unsurety over the possibility of populism dominating EU Parliamentary affairs, and the subsequent future influence on EU policies. The ACP- EU meeting will discuss three main topics, which include resilience to environmental changes, intra-regional migration, and the role of civil societies in the Southern African Development Community-EU economic relations.